SpeedShot Photography photo. Used with permission. Wow, what a week! We have been on the U.S. border in Sault Sainte Marie, Michigan, for the 50th annual Soo I500. This was my rookie year at the Soo, and I had the honor of riding with Keith Gainforth from Gainforth Racing. For those of you that aren’t familiar with the Soo I500, it is 500 laps around a terrifying one-mile ice oval. Each team usually has two or three drivers that do different segments of the race. When it’s time for a driver change, you come down pit road, change drivers, fuel the sled, put on some fresh skis, make any needed adjustments and head back out on the track. The whole time banging bars at about 115mph down the straightaways. In a word, it’s awesome! The Soo I500 has always been a race I’ve wanted to get to and this year was my chance. The best in the North America come to this race! 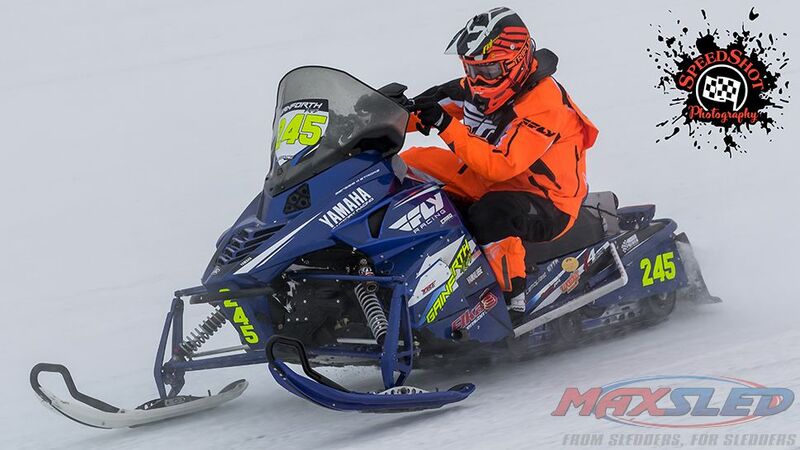 Many people call this the Daytona of snowmobile racing. Some racers say if there is one race they want to win, it’s this one. It is almost hard to explain what it means to me to be able to compete in this race. We showed up to the track Tuesday morning for the first round of practice and qualifying. This year being my rookie debut, each day I had an hour-long rookie practice session. Just for us rookies to go out and get some time on the track. I felt pretty comfortable on the sled right away. We were just making minor adjustments to handling and the controls. Also, we had to keep a happy medium so that both drivers are comfortable. Friday we had a day off from the track. 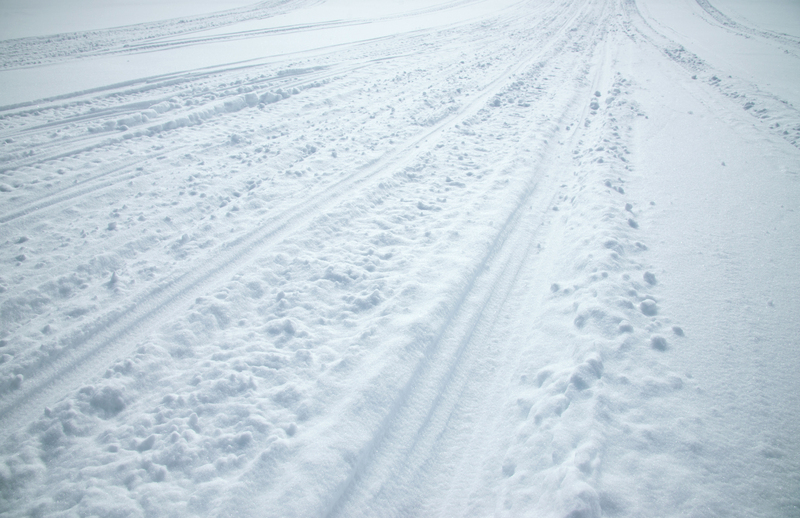 It was just time for going through the sled and final preparations for race day. My dad and I explored some of the sights in Sault Sainte Marie and hung out by the Canadian border which was nice because on a normal race weekend we never have any free time for those things. But made it back just in time for the almost two hour drivers meeting. No messing around here. Before we knew it, Saturday morning came and it was race day. Racing starts at 10am sharp and ends under the lights. We showed up to the track before the sun was up and there’s nothing like the sight of a mile’s worth ice glistening under the lights. A sight like that is pure happiness. We struggled a bit in qualifying so we rolled off in 34th position out of 38 sleds. But 500 miles is a long time to make something happen. Keith would start off the race for the team and was making some quick passes early. Within the first few laps he got us up to 22nd. 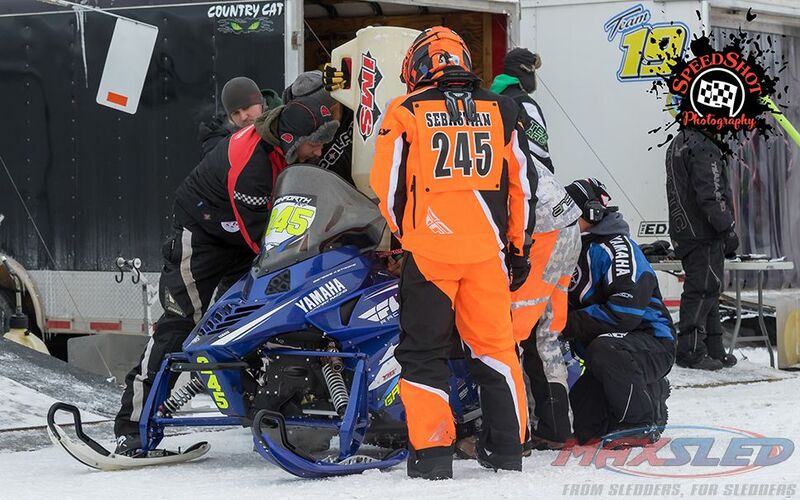 By the time our first fuel stop at around lap 100 we were up to 18th, and it was time for me to get on the sled. I have to say, riding the track in an open practice and in the race is no comparison at all. The pace of the race is crazy fast. Even though it’s 500 miles long you still have to give it everything you have on every single lap. At first my nerves got to me and I wasn’t riding like how I know I can, and I lost us a couple positions to 20th. I was just trying to hold my own in the terrible visibility. Snow dust was brutal. At lap 200, Keith got back on the sled and started making time back up for us. Keith was running around 18th and unfortunately blew a belt. That of course cost us some time getting towed back into the pits. The crew got a new belt on and Keith fought back to 20th before it was time for me to take over again around lap 300. This time I was my usual self and riding with a fire under me! 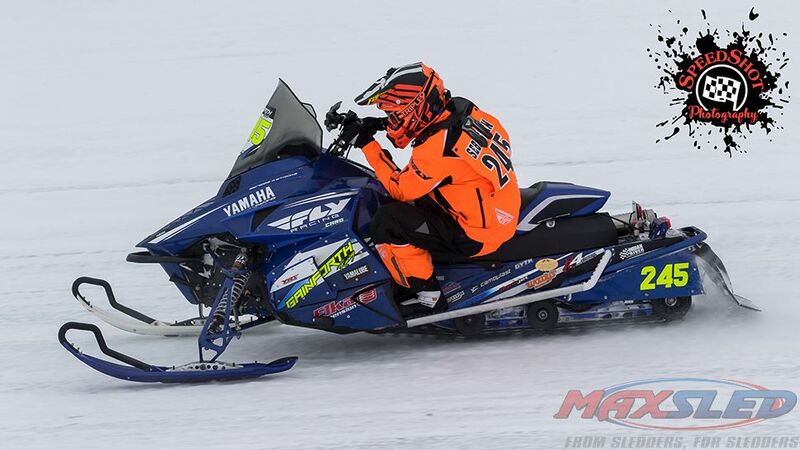 I felt good and was making some good passes and got back up to 15th only a couple laps down to the sleds ahead of us. I was making good time and then we blew a second belt! Now I can count on one hand the number of belts I’ve blown racing. So, the fact we blew two in one day is just flat out bad luck. I got towed back in and the crew put another one on. By this time we fell back to 19th and I just stayed for a few more laps until our last fuel stop at lap 400. Keith took over for the last leg of the race and was running strong in 17th. Then, with about 20 laps to go, we began having a motor issue. Not exactly sure what the problem was but the sled was not wanting to go anymore. Luckily other teams around us in the running order were also having some bad luck so when the checkered flag fell we ended in 18th. But for me, I was pumped to just be able to compete in this race! It was always a goal of mine to get here someday. Big thank you to Gainforth Racing for giving me the opportunity and hopefully I can come back again. And as if one 500-mile race wasn’t enough, we are up in Thief River Falls, Minnesota for the USXC I500. This is a traditional cross-country race over three days. See you there!